SKU: CR-5744 Categories: Women's Clothing, Sweaters, Outerwear Brands: Charles River Apparel. Wind & water-resistant Microfiber Twill with mesh-lined body & nylon lining in sleeves for easy on/off. 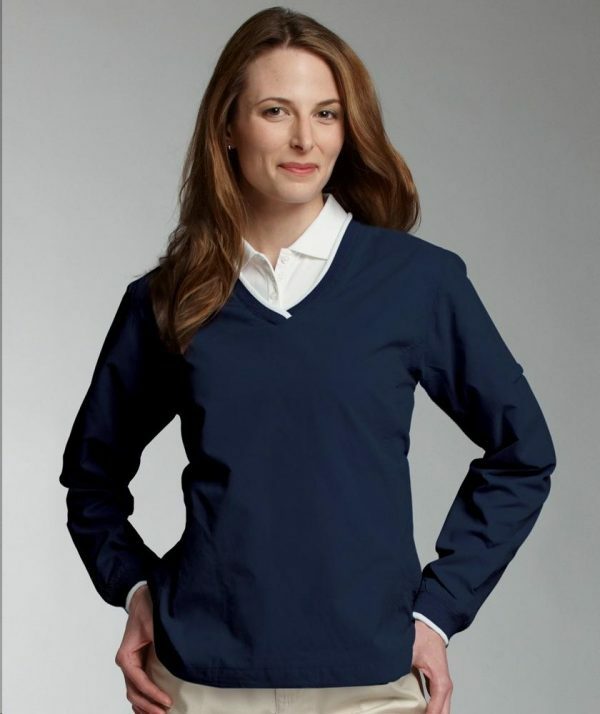 High quality rib knit trim at V-neck collar & cuffs, accented with contrast-colored stripe. Mini pocket on sleeve, side pockets and side-seam zipper for easy on/off. Set-in sleeve design with vented back shoulder gussets. Open hem with shockcord drawstring.